“This is a classic French blend that’s been evolved over the last 1000 years. This 2007 has some maturity, 5 years of age, they age well, this style will go 10 years and develop a much more complex aromas. Now there’s a cedary, cigar box, earth character going on, there’s some spice, subtle black pepper and clove or brown spice characters and pluminess. The colour is a deep garnet red with depth and substance. The intense alcohol leaves the glass coated with long viscous “legs”. The bouquet is distinctively Barossa with earthy aniseed spice, opulent ripe berry fruit, seamless oak integration and lifted sweet spirit. It’s a perfumed potpourri of scented oils, rose petals and confection that continues to rise in the glass as it unfolds and opens up. The opening palate is packed with juicy blackberries and dark plums that quickly develop into earthy spices with star anise, licorice and eucalypt filling the mid palate. It has sumptuous mouth-feel with silky tannins and lovely vanillin oak that flows gently over the tongue revealing complex secondary characters of smoky game, mocha and earth. The abundance of flavour is supported by solid structure, texture and generous body. It’s a timeless wine with great depth and length of palate. Following the great 2005 vintage, this is another outstanding example of the richness and intensity of this traditional Barossa blend. It is ideal with hearty flavoursome dishes like aged, thick cut rib eye steak with green peppercorn gravy or mild red curry with lamb or beef. It’s lifted spicy character makes it a great partner with herbed flat bread, olives and anchovies. 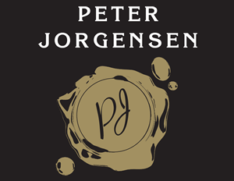 Peter Jorgensen’s Premium Reserve wines are selected for their longevity and depth of character. This Grand Barossa GSM, a blend of Grenache, Shiraz and Mourvedre will stand the test of time, age for many years to come and continue to develop earthy spice and deep mocha flavours. The “Premium Reserve” label is allocated to only the most outstanding wines. Peter Jorgensen hand selects truly premium, benchmark wines with rich fruit intensity, complex flavours and structure combined with their long term aging ability. All Premium Reserve wines are an expression of excellent vineyard management and winemaking. The resulting wines are extremely limited and are treated with minimal filtration and additives which result in great length and balance. They are wines that take time to evolve and are given extended cellar maturation to allow all elements to become integrated before bottling. The aging process will continue in bottle and this Grenache Shiraz Mourvedre will develop a light crust over time. We recommend decanting this wine prior to consuming. We hope you enjoy this great wine.